Some unexpected guys have already surprised everyone with the quality of play they have showcased in the Euro Cup. While some big names have also lived up to their reputations. We have already witnessed the play setters like Mesut Ozil providing immaculate balls to someone like Bastian Schweinsteiger, some unreal one man shows by the likes of Dimitri and Payet and Gareth Bale have also caught our eyes. 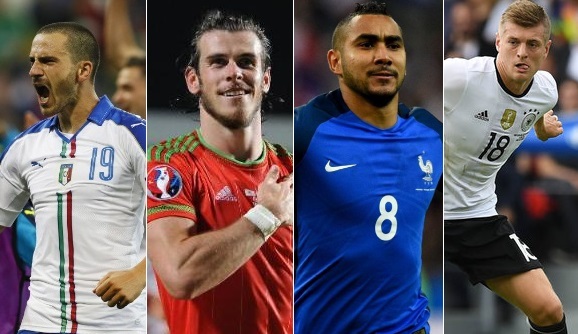 But who are the top ten guys we should to remain on the lookout for in the knock out stages of Euro 16? Let us find out. The world’s most expensive player, Gareth Bale’s dream time at Euro 16 has been augmented to the quarter finals now after his team made the Northern Ireland to surrender in the Round of 16. There is no doubt that Belgium will have Gareth Bale’s name at the top of the list of the persons to take care of in the quarter finals. This man has made all the difference in Wales’ lead up the quarter finals by scoring 3 crucial and eventful goals. Without him Wales is a good team but with him, Wales is a force to be reckoned with. If there is one person you need to keep an eye on in the quarter finals, then it must be the Real Madrid striker, Gareth Bale. France’s all league encounters swayed from one team to the other till the very last minutes and one man who made sure that France had the final laugh in all these encounters was Dimitri Payet. He has two late goals to his credit already and the kind of energy which he is showcasing at the Euro ’16 has certainly elevated his rank among the global fraternity of footballers. Italians has rediscover their clinical approach after couple of underwhelming major tournaments. They have already out smart and pretty much out played two of the pre-tournament favourites in Belgium and Spain. Although unlike previous major tournaments this Italy side lacks a super star but Antonio Conte has installed a workhorse mentality in this team who defend as a unit and posses very unpredictable attacking powers. So far Leonardo Bonucci has been their best player in the tournament spearheading the 3-5-2 system from the back and he looks unplayable at times. If Italy were to reach final Leonardo Bonucci will sure make a big claim for Golden Ball. 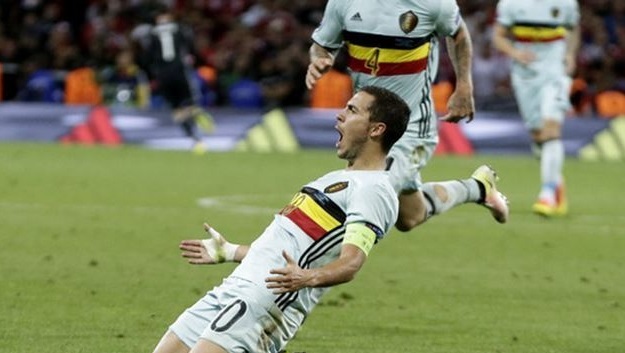 Eden Hazard’s Belgium was clinical in its one sided affair with Hungary in the Round of 16 match and Hazard was instrumental in this game as well as Belgium absolutely demolished Hungary by 3 goals to none. It will be amazing to see him line up against the Welsh defenders in the quarter finals. The Real Madrid player has been hailed by foes and friends for the composure he is bringing to the now warmed up German team. His every move at the Euro ’16 has been finer than a well-oiled machine. German manager, Joachim Low, has made no secret of his admiration for Kroos and has tipped him to be of paramount importance to this German line up. Kroos along with the likes of Gareth Bale has made into almost all the Euro XIs announced after the league stage by various sports pundits. 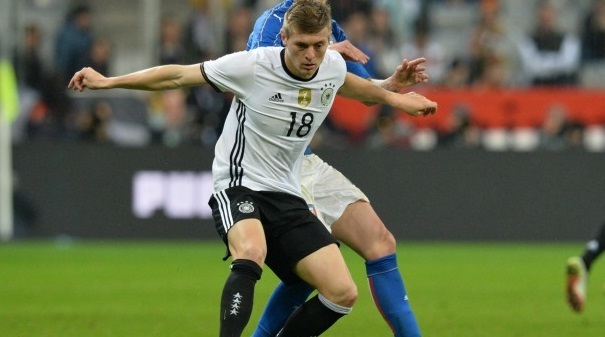 How Germans deal with either Spain or Italy, whichever team meets them in the quarterfinal, will very much depend upon their mid fielder, Toni Kroos who has really been cruising with his set ups in this Euro Cup. Just 2 weeks before the start of Euro ’16, Griezmann possibly had the worst outing of his life as he missed a penalty for Atletico Madrid against the eventual champions Real Madrid. 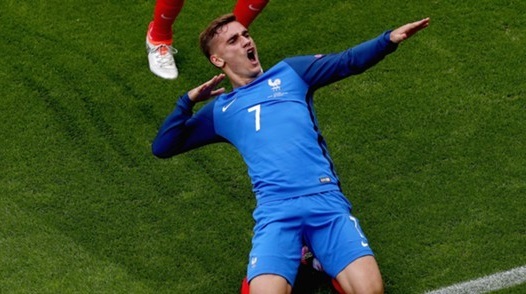 His performance in the opening match of Euro ’16 also showed that a long season has had a toll on this young player but ever since then Griezmann has turned the tournament on its head for France. With 3 goals, he is one of the three leading scorers in the Euro Cup so far. In their quest against Ireland in the Round of 16 match, France went a goal down immediately after the start of play. Tensions were running high as thousands of French people lead by the country’s president nervously eyed the match from the stands. Within the span of 3 minutes, Antoine Griezmann changed the whole dimension of the game by scoring two sizzling goals bring France in an unassailable position. France’s likely opponent in the quarter final will be England and with Antoine Griezmann in such a form, looks like England will have their work cut out for them. How could we not include his name in this list when all the rest of the world wants is to see this guy in action. 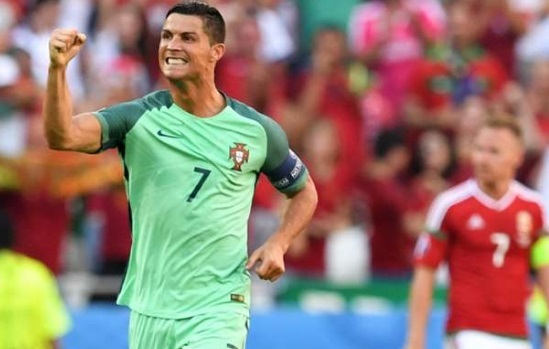 He was being put under a lot of pressure after his inability to score in Portugal’s earlier league games but Ronaldo announced himself at the tournament when it mattered the most. Bringing Portugal back almost from the exit door of the stadium as he scored two goals against Hungary. Ronaldo is leading Portugal and he is motivated enough to make this tournament worth our time. Let’s see what tricks he has up his sleeve in the quarter final against Poland. Poland were installed as dark horsed before the tournament with Robert Lewandowski spearheading the attack but he has failed to score in the opening four games for Poland. But and unlikely sourse Jakub Blaszczykowski has emerged as Poland saviour in two consecutive games and he looks in fine form. “When the going gets tough, the tough gets going.” I don’t remember whose saying is this but what I can say with certitude is that this saying perfectly fits Mario Gomez. He is the man of dark passages, who scores in the most pressure situations. He has played big tournaments enough to deal with their pressure and felt completely at home as he dispatched the ball for a trip inside the Slovakian goal post in the Round of 16 match. 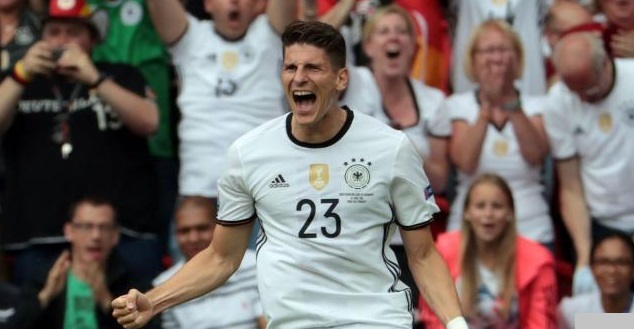 Joachim Low has entrusted Gomez with the responsibility of leading German attack and that is one big responsibility to take. I thought the same, he doesn’t do crap.